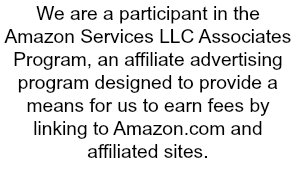 Here we are again with another weekly update! I am not officially 32 weeks along and here to share the latest stuff that is going on with little baby Apley! He is growing bigger and bigger, as is my belly! We had my 32 week sonogram on Monday as well as a doctors appointment right after. The sonogram went good, we got a call he is in the 54th percentile of growth, and still measuring ahead a bit. She said everything else looked good and they are going to let me wait and see them in 3 weeks instead of 2. Doctors appointment went good as well, it was super quick, just measured my stomach, listened to heart beat, and talked to the doctor for a minute. I think possibly at my next appointment or potentially the one after I will start getting checked to see if I am dialating and such. 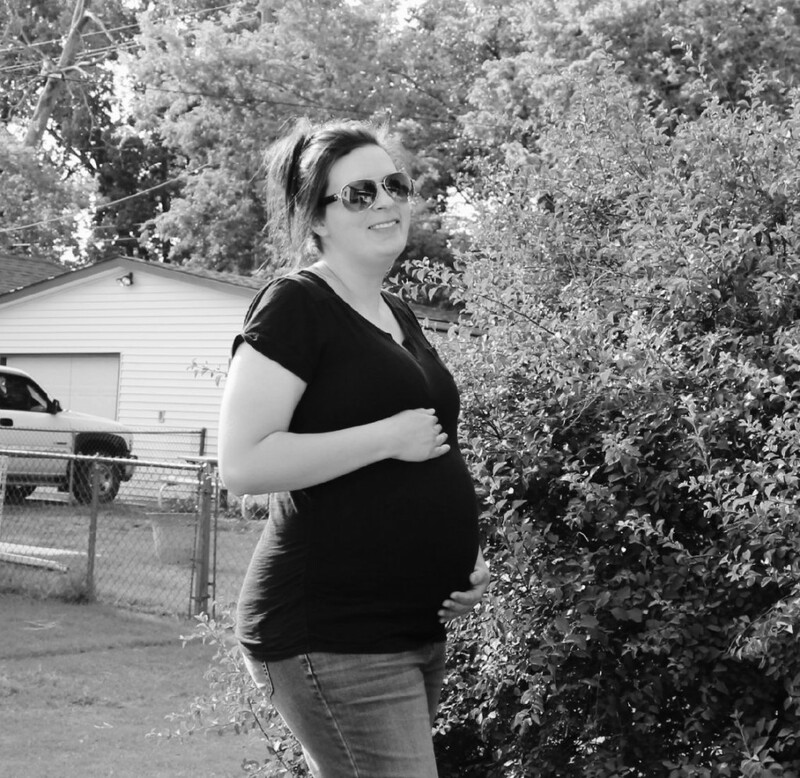 Without further chatter, here is my 32 weeks pregnancy update! You can see what has been going on, and at bottom see a sonogram picture! Size of Baby: He weights about the same size of a large jicama, which I am not sure what that even is. I am growing like crazy in my tummy area, and I have read that means he is gaining and growing as well. He is plumping up and gaining almost half of his body weight by the time I will deliver. Movement: He is moving around good, every sonogram they always say how active he is! I can tell he is growing bigger because his movements are so much stronger. I can feel when he rolls around in there, sometimes it does feel a little uncomfortable, but I am so thankful to feel him moving and know he is doing good! Body and Changes: I am growing so much each day, it seems like my belly is just getting bigger and bigger. I am having so much more aches and pains, in my hips and pelvic area. I know it is my body stretching and doing its thing for me as I am getting closer to deliver. Sleep: Well, sleep isn’t going that great. I am up multiple times through the night to go potty, and then I can’t get back to sleep. I normally wake up around 2 and stay up till 4-5 am, then I can sleep for a little bit. It makes it hard to have the energy during the day, but I know this is something that most pregnant women go through. Emotions: Man oh man I am all over the place. We are closing on our new house on Monday, so I think this plays a big role! But, I am super emotional all the time, I cry often, and get super emotional out of the blue! Plus, I was talking to my doctor and he said in the end it is normal to become extra emotional, as you are preparing for birth and the start of a new chapter having a baby! Morning Sickness: I have been dealing with a lot of nausea lately. I have found when my belly seems to be growing a lot I will get nauseated quite a bit. Luckily medicine helps get it calmed down most of the time! Cravings: Corn bread, peaches, alfredo noodles, and protein a lot. Anything with meat or cheese is always something I want. I still have yet to have a weird mix of food cravings! I also have been wanting sweets a lot. What I Miss: Having energy! I am just wore out a lot, or get wore out super quick, so being able to have a normal energy level would be great. What I Am Looking Forward To: Having him here and starting our lives with him. I can’t wait to see his face and get to hug and kiss on him!!! Next Doctor Appointment: September 14th. 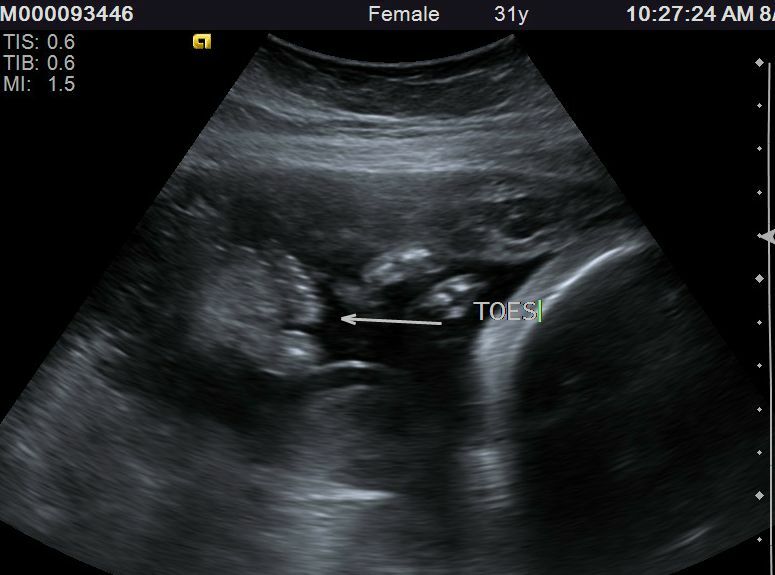 Here is a little picture from the sonogram we did, of his little toes! How cute are they? !